Heat oven to 350°F. Lightly grease cookie sheet, or line with cooking parchment paper. 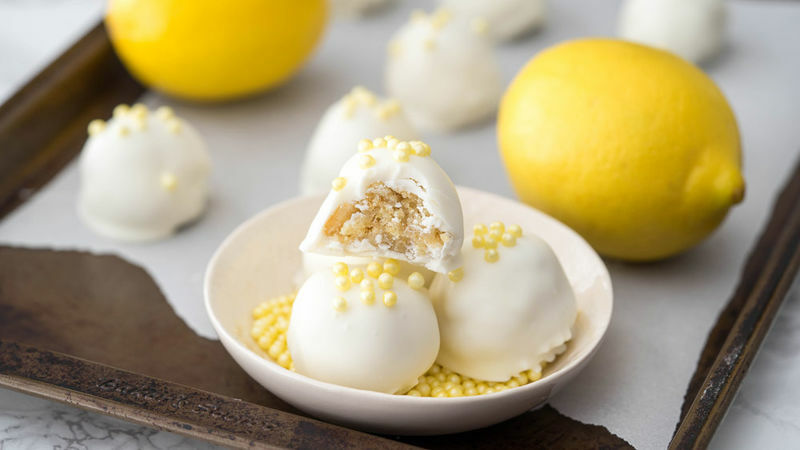 Break up 1 roll (16 oz) Pillsbury™ refrigerated sugar cookies into large bowl; add 2 tablespoons grated lemon peel and 2 tablespoons lemon juice from 2 lemons. Beat with electric mixer on medium speed until blended. Scoop cookie dough by large tablespoonfuls 2 inches apart on cookie sheet. Bake 10 to 12 minutes or until edges begin to lightly brown. Cool 5 minutes; shape into balls. Refrigerate balls 10 to 15 minutes. Melt 12 oz white candy melts as directed on package. 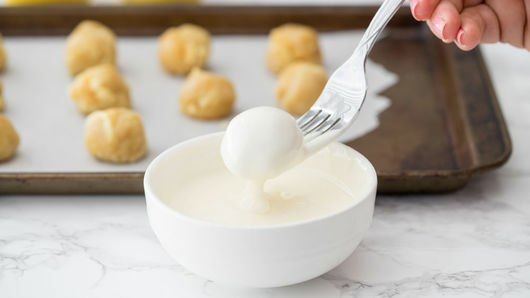 Using fork, dip balls into candy melts, tapping excess off. 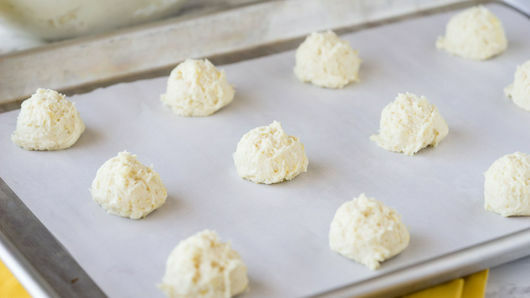 Place balls on cooking parchment paper-lined cookie sheet; top all with 1 tablespoon yellow candy sprinkles, if desired. Let stand until coating hardens, and enjoy! Grate the lemon straight into the cookie dough. The oils that come off the lemon peel will add a lot of great lemon flavor! Don’t overbake the cookies; you’ll want to make sure they’re still soft so you can shape them into balls.